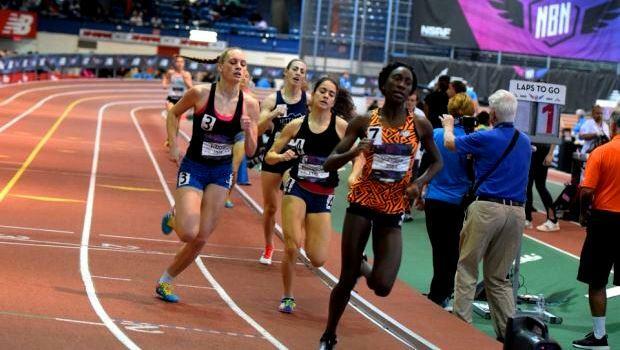 NBNI Update: Oosting Runner-Up For Two Miles, Big-Time Mile PR For Jenks During Final Day! Ryan Oosting gave it his best shot. 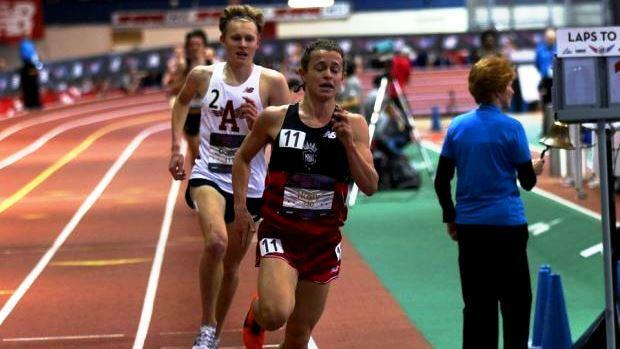 Facing the nation's top distance runner in Brodey Hasty, Oosting came mere strides from defeating the Brentwood (TN) senior in the two-mile run Sunday at the New Balance Nationals Indoor (NBNI) Championships. The Arlington junior finished second overall in 9 minutes, 1.87 seconds. Hasty, an Oregon signee, defended his title by breaking the tape in 9:00.38. Three other MA athletes competed in the deuce during the final day of the three-day meet. St. John's Prep's Tristan Shelgren finished14th overall (9:11.97. Newton North's Andrew Mah, who was fourth in the 5K on Friday, was 15th (9:12.17) and Saint John's Patriick Craemer was 22nd (9:22.61). In the girls' two mile, Amherst-Pelham's Sophia Jacobs-Townsley was 15th overall in 10:51.35. 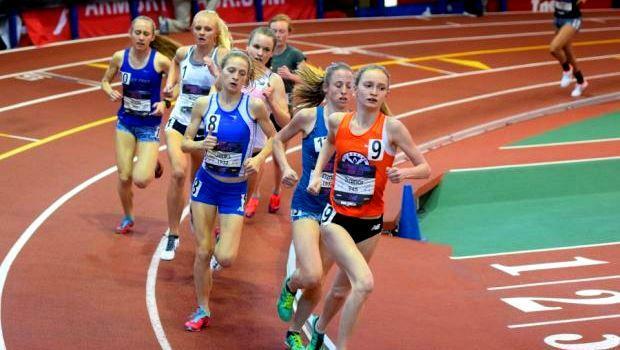 Newton South sophomore Lucy Jenks just missed All-American status by taking seventh overall in the Championship Mile. Jenks clocked a personal best by more than six seconds with her time of 4:51.29! Acton-Boxborough's Samantha Friborg, who a few weeks ago won her first individual state crown for the 1K, was fifth overall in the 800m in 2:08.76.